Remo Majestic Hotel is a 2-Star hotel situated along Afolabi Kehinde Avenue, off Sagamu/ Benin Expressway, Sagamu, Ogun State. The Remo Majestic Hotel offers rooms in the categories of Executive, Ambassador, Luxury, Atlantic Standard, Presidential Suite, Atlantic Superior, and Atlantic Suite. 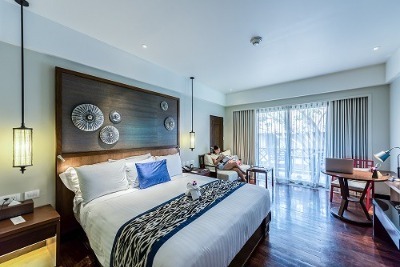 Rooms at Remo Majestic Hotel come with amenities such as flat screen television sets, sofa and centre table, arm chairs and desks, refrigerators, private bathrooms with stand-in shower facilities, intercom system, plush beds, and wireless internet access. Sufficient parking space, a restaurant with a menu of great tasting dishes, a bar/lounge, fitness centre and gym, uninterrupted power supply, conference and event hall facilities, and adequate security are available to guests at the Remo Majestic Hotels. Kids: Children who are yet to attain the age of 12 are given free lodging. Q: Does the Remo Majestic Hotel have a gym? A: A well-equipped gym is available for use at the Remo Majestic Hotel. Q: Is there a swimming pool at the Remo Majestic Hotel? A: No. It doesn't have a swimming pool. Q: Does the Remo Majestic Hotel have a restaurant? A: A restaurant that offers a menu of great tasting cuisines is available at the Remo Majestic Hotel. Q: Is there a bar at the Remo Majestic Hotel? A: A bar that offers guests a wide range of drinks is available at Remo Majestic Hotel. Q: Is there a car park at Remo Majestic Hotel? A: Yes. It has a large parking space on its premises. Remo Majestic Hotel is an affordable hotel in Sagamu, Ogun. The hotel was manageable; my room was nice and clean enough. The location was aright for me and the staffs tried their best but I expected more from them. I had a nice stay at the hotel. The environment is okay. I was well received by the staff. The room was okay and the facilities there were okay too. I was not too impressed with the services rendered though. The hotel management should make effort to improve their service delivery. I would give the hotel a five over ten rating. My stay was okay at the hotel. The room was neat and had all the functional facilities in place. Water and Power supply were available. The only complaint I had were the staff, they were not trust worthy due to the inflation of bills on their meals, the rates on their list was different from the bill signed, I would want them to pay attention to their duties and also to be trust worthy. My stay there was not safe. There were yahoo guys that were smoking weed and wanted to beat us for saying we were not comfortable. Have nice pictures of Remo Majestic Hotel?